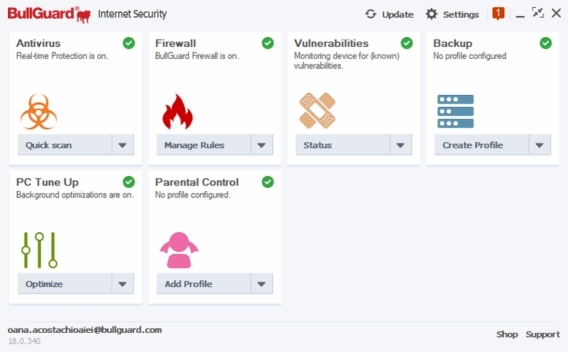 BullGuard Internet Security – a comprehensive security suite with strong antivirus engine that provides complete protection against viruses, spyware, theft, malwares, and digital fraud. BullGuard Internet Security comes with intelligent three-layer protection that constantly protects against security threats. The security software offers a backup system and a tool for PC optimization to improve system performance. While the spam filter feature are ensure Inbox clean and browsing protection prevents accessing malicious websites. BullGuard Internet Security 2018 update also considers for gamer enthusiasm, which bring features game booster to maximize gaming experience with faster frame rate without slow down the PC. BullGuard Internet Security normally cost $60 per single license. In collaboration with CHIP, BullGuard is giving away 5,000 copies of BullGuard Internet Security license to everyone. Visit the promotional page HERE. Click “Získejte přístup ZDARMA právě teď (Get FREE access right now)” button to download the software. Once finish download and install. Create or sign-in to the account. The software will auto generate and available with 1-year license key.